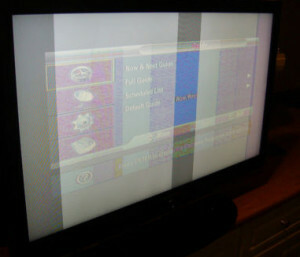 A faded, scrambled or black screen in your Sony KDL-60EX646 LED TV can be fixed by replacing the T-Con board. Learn how with our guide. The Sony KDL-60EX646 LED TVs are having some issues with the Timing Control Board. (T-Con) a failure of the 8 pin eprom chip on the lower right side of the RUNTK5261TPZE T-Con board that interrupts the video signal to the main board. Symptoms of a failed T-Con board include half-faded screen, scrambled pixels along lines and patterns on the screen. The most common problem is no video when the Sony KDL60EX646 is turned on. Fortunately installing a replacement RUNTK5261TPZE T-Con board is not difficult. Replacements boards are available for sale online for under $150. Installation takes about 45 minutes. 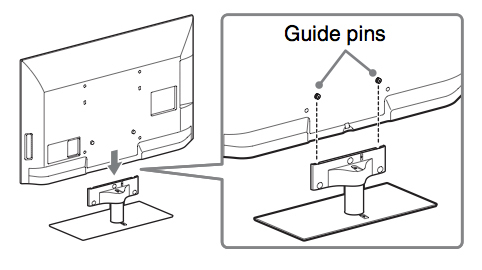 Turn the Sony KDL-60EX646 LED TV off. Unplug the power cord. Lay the Sony KDL60EX645 LED TV on a flat, padded surface. 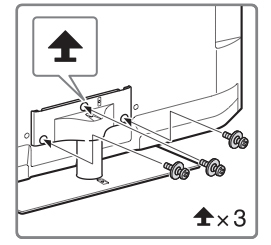 Lift up the KDL-60EX645TV so the guide pins are released from the stand. Start along the top corner to safely pop the front bezel from the back cover, Gently work your way around the entier cover. Once th back cover and front bezel are removed, place theKDL60EX645 with screen facing down. The RUNTK5261TPZE T-Con board is located in the middle top of the back panel, usually under an aluminum cover held in place by four corner screws. You’ll see a black LVDS cable and two flat ribbon cables conneting it to the Main board. NOTE: Be sure to put on your rubber gloves before touching the new RUNTK5261TPZE T-Con board. Hold the RUNTK5261TPZH T-Con board by the edges and avoid touching any of the components since they are very sensitive to electrostatic charges. Place the back cover back onto the Sony KDL-60EX646 TV and tighten all the screws. Once you turn the Sony KDL-60EX6456 TV back on you may not have a picture but may see the amber light blinking and green blinking. This indicates you need to get a firmware update. (Note: Your TVs must already have an established Internet connection). Once the upgrade has been completed, turn the Sony KDL-60EX646 on and then back on again.